iPlay America is Expanding! More Fun For Your Enjoyment! There has never been a better time to Get Inside EVEN MORE Fun at iPlay America! This SUMMER, the FUN is taken to the next level thanks to iPlay America’s huge expansion! Guests can experience all new RIDES, all new ATTRACTIONS, all new SPECIALS and spend hours enjoying themselves on iPlay America’s nearly four acres of fantastic FUN! Come in today for the spectacular spinning thrills of The Freedom Rider Spinning Coaster, grab some tasty java at The Grind Coffee Co., and very soon guests can take FUN to all new heights with the largest indoor ropes course in New Jersey! One of the highlights of this new expansion is iPlay America’s latest addition, the new fun-filled theme-space Bill’s Garage! This new area includes two thrilling attractions! The NEW Freedom Rider Spinning Coaster (which is NOW OPEN to the public) and the The Sky Trail® ropes course which will debut later this summer at the Grand Opening of the NEW Bill’s Garage! Plus, Bill’s Garage has hot new games like NBA Hoops Basketball and expanded skeeball! Word is already getting around about the huge FUN guests are having riding iPlay America’s NEWEST thrill-ride the Freedom Rider Spinning Coaster! The Freedom Rider features a figure-eight track design and free-spinning vehicles that gives riders an amazing coaster experience. It’s a head-spinning good time for riders of all ages! There’s so much to do at iPlay America this summer! That’s why iPlay America created the Summer Season Pass. It’s your ticket to RIDE, ALL SUMMER LONG! 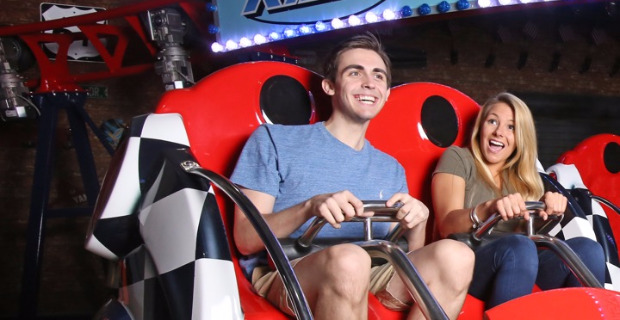 Guests with the pass receive UNLIMITED RIDES on the Freedom Rider, Kite Flyer, Sky Scraper, Go-Karts, Spin Zone, Bumper Cars, Happy Swing, Jump Around, Dizzy Dragons, and Mini Carousel. The Summer Season Pass is good every day from Memorial Day through Labor Day (Monday, September 5, 2016) Monday-Friday from 3 p.m. until close and all day Saturday and Sunday. Passes can be purchased in the park at the Welcome Center or online at iPlayAmerica.com/Special-Event/Summer-Season-Pass. The cost is just $49.99 each and guests receive valuable coupons valued at over $100 with every purchase – including vouchers to BYOF (Bring Your Own Friend!) for FREE! A deal this HOT is hard to pass up! iPlay America’s Summer Season Pass will have guests bouncing, swinging, jumping, flying and having the time of their lives. It makes a great gift, because it’s hard to imagine who wouldn’t love a thrill-packed pass to ride UNLIMITED RIDES this summer. It’s a whole lot of FUN! Planning a trip to the beach and it RAINS? No problem. Got a family picnic and it’s 105 degrees in the SHADE? No problem. Have a company outing and the humidity is so high you feel like you’re SWIMMING? No sweat! A Summer Season Pass guarantees that no matter what’s happening outside, FUN is always served at the perfect temperature seven days a week at iPlay America. To purchase a Summer Season Pass, go to iPlayAmerica.com/Special-Event/Summer-Season-Pass. What are you waiting for? 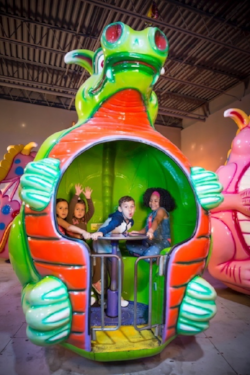 Come in and experience all the thrills our new expansion has to offer! Get out of the heat this summer and Get Inside EVEN MORE Fun at iPlay America!